A - B - Seymour: Fantabulous Friday Freebies- With Love and Prayers! Fantabulous Friday Freebies- With Love and Prayers! My heart is broken over the sad news from Sandy Hook Elementary School. I am in tears even as I type. My weekend will be full of Christmas shopping, baking cookies, and wrapping presents while families in Connecticut are mourning the loss of their children, students, teachers, administrators, and friends. I'm at a loss for words. All I can say is that I am praying for all of the families affected by this tragedy. I can't even imagine the pain and sorrow they feel. We had a practice lockdown with police yesterday and that made some of my kids nervous. I can't imagine the horror those kids felt and saw today in Connecticut. My heart is just breaking. Only one more week before Christmas Break!! Next week we will be doing some Christmas review activities and I found these great freebies from some fabulous sellers on TpT so I had to share them for this week's Fantabulous Friday Freebies! 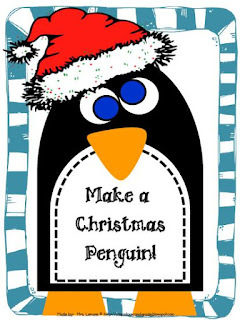 This is a cute Christmas penguin craftivity! 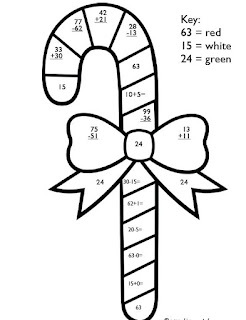 We are celebrating Christmas Around the World next week and I'm teaching about Christmas in Australia. I found this adorable Snow Globe Santa and I'm so excited! Isn't he cute?!?! 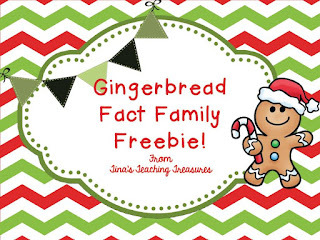 My kiddos already made these gingerbread fact family houses and loved them! 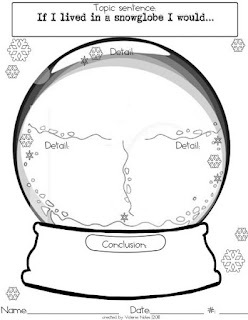 It was a great review of fact families. Hope you can enjoy some of these freebies! Yes, it's all very hard to imagine. I'm praying too.